Large blousy blooms, some up to 10cm/4in across, flowering in range of unusual colour combinations to create fantastic floral displays. 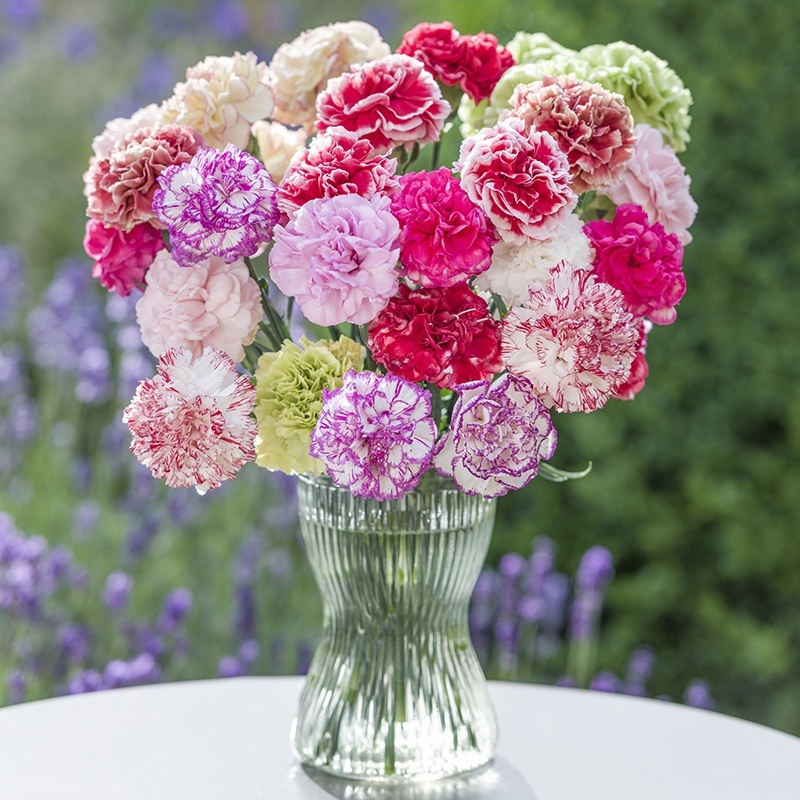 These ‘button-hole’ types flower over a long period and last for several weeks in the vase. They will flower all-year round if grown in a heated greenhouse or from July to November out of doors. Grow in moist, well-drained soil in a bright and sunny position.